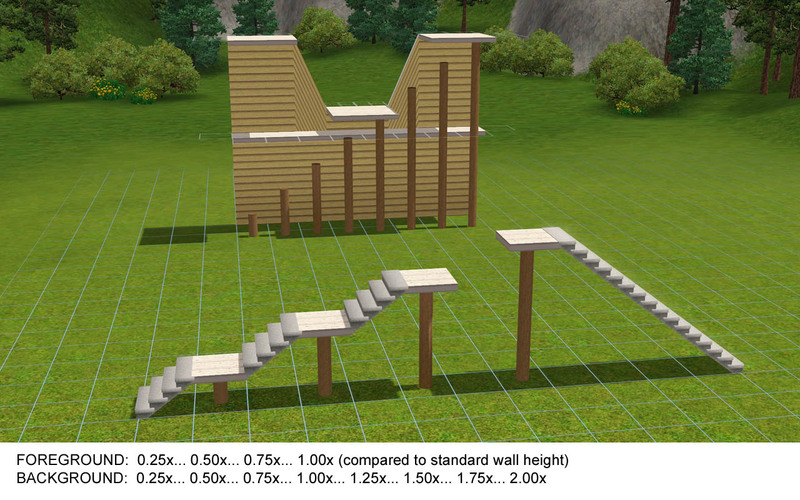 This is a set of eight simple "columns" in quarter wall-height steps, from 0.25x to 2.00x. They are cloned from the base game ficus plant and therefore do not function as normal Build Mode columns (ie: they DO NOT automatically create support for floor tiles above them). 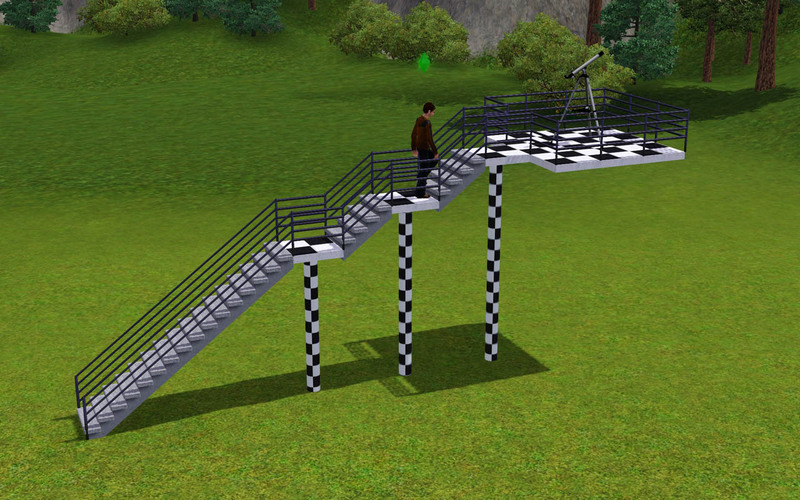 I initially created them to act as columns when using the CFE cheat to create walls of different heights, but they could have all sorts of other uses. Since these columns are decor items and do not automatically allow you to build on top of them like standard build-mode columns, you must use the CFE cheat to place your floor tiles first (at different quarter wall-height elevations), and then place the columns underneath afterwards. Sims will interact with them as if they were any other standard decor item, and that includes "viewing" them from time to time. Each column contains 68/64 vertices/faces irregardless of height. They can be found in Buy Mode under Decorative -> Miscellaneous, and are priced according to their height (eg: the 0.75x tall column costs §75). Edit (18SEP10): I just discovered a relatively minor glitch in my meshes linked to tiling -- that being, any texture applied to the woodgrain version will tile correctly, but any texture applied to the porous concrete or crackled paint version will appear squished on the shorter columns and stretched on the taller ones. I noticed this immediately when I applied the checker pattern seen in the second screen shot and thought I fixed it, but apparently I only changed the tiling parameters for the first of the three. I have since fixed this in a fresh upload, but users of the original upload can still use that version, provided that any retexturing is applied to the woodgrain version only (unless you like squished/stretched textures). Edit (01OCT10): For those who prefer square columns, I've created a matching set that can be found here. 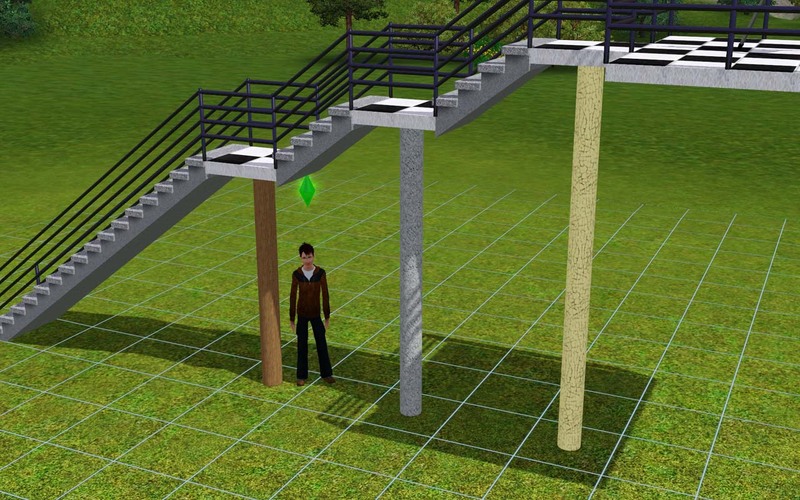 As a bonus, the square column set includes a small round concrete base that you can place at the bottom of either type of column to mimic the look of the pedestal-style foundations we had in Sims 2.